Weather in down under is much different from the rest of the world. Here December marks the start of the summer season and winter starts from the month of June. The Spring season starts around September and lasts up to November and Autumn season starts around March lasting up to May. Contrary to Northern Hemisphere, the climate down under is pleasant and welcoming throughout the year. Depending on your wishes, you can visit any time of the year. The summers of Australia is a festive season with open house barbeque being a common sight. Winters in Australia are moderate and not extreme, making Australia an all year destination. 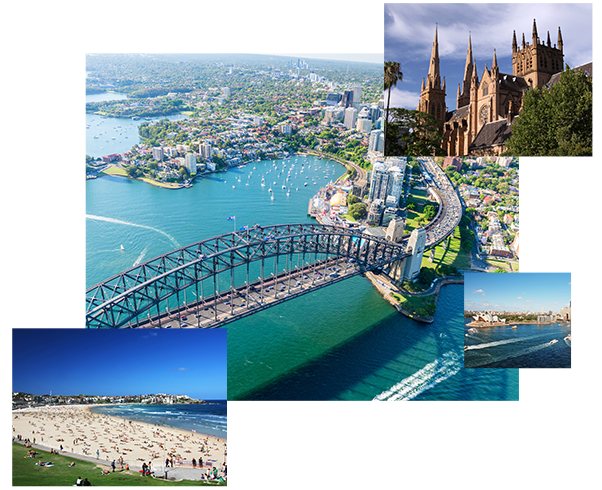 Australia is blend of all the geography, ranging from coastal cities to vast arid deserts. If you wish to visit the coastal cities, Australian summer is the season to be here. From serene and happening beaches of Sydney and New South Wales to picturesque Noosa and Torquay, Australia is a complete package. Australian summer is the most vibrant season with people flocking to the coastal cities and carnival and celebrations happening all around. Cities like Brisbane, Canberra and Melbourne can be visited throughout the year and they are some of the best places to explore in Australia.